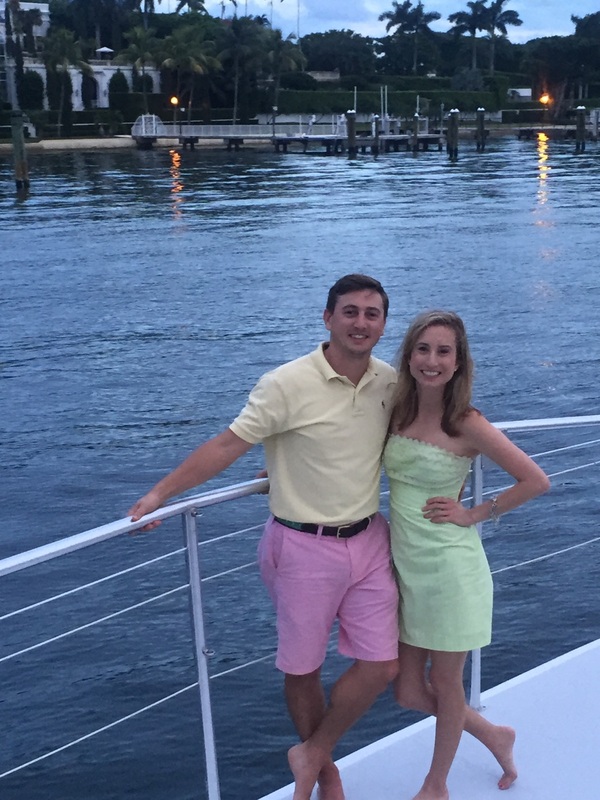 Last weekend, P and I were grateful to be invited on a sunset cruise for a friend’s 30th birthday. 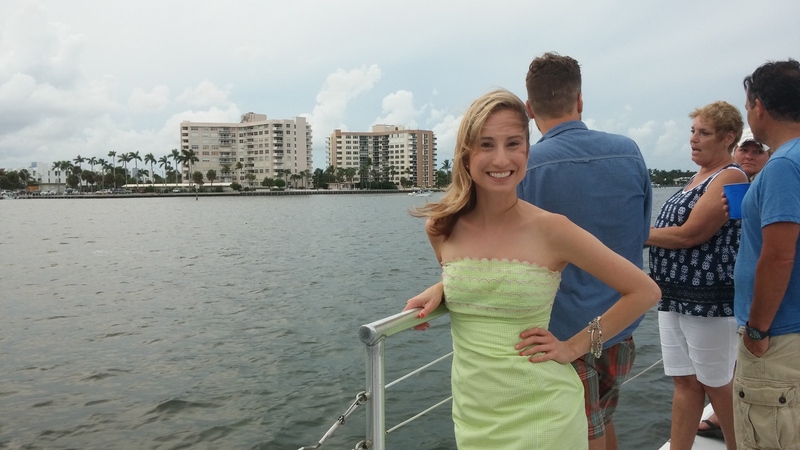 Although the weather was far from perfect (it rained off and on all day), we enjoyed a cloudy sail on the Hakuna Matata catamaran from the downtown West Palm Beach waterfront north to Peanut Island and back again. 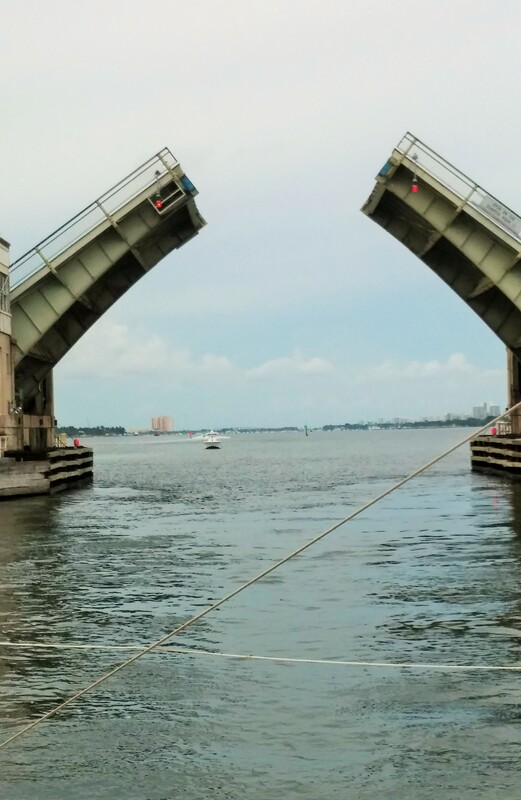 Heading under the Flagler Memorial Bridge north toward Peanut Island. There is a great possibility this bridge may be under construction until I’m a grandmother. I think many people underestimate the beauty of downtown West Palm Beach. Although not nearly as natural as Jupiter’s portion of the Intracoastal (a BIG thanks to the JUP’s strict zoning and building regulations), the waterway is flanked by some of the largest and most beautiful homes in the county. The lights from downtown are also fun to look at, as evidenced in this post’s “feature image.” West Palm Beach may not have anything on the skylines of New York City and Miami but, from the water, the lights of Trump Plaza, Philip’s Point, and the Esplanade building are impressive. As we approached Peanut Island, home of President Kennedy’s famed bomb shelter, we saw a myriad of sailboats anchored for the night. I wish I had gotten a better picture but I was limited by the zoom on my cell phone camera. Of course, I had to take a photo in front of my apartment building because it’s a rare opportunity when I get to see it from the water. 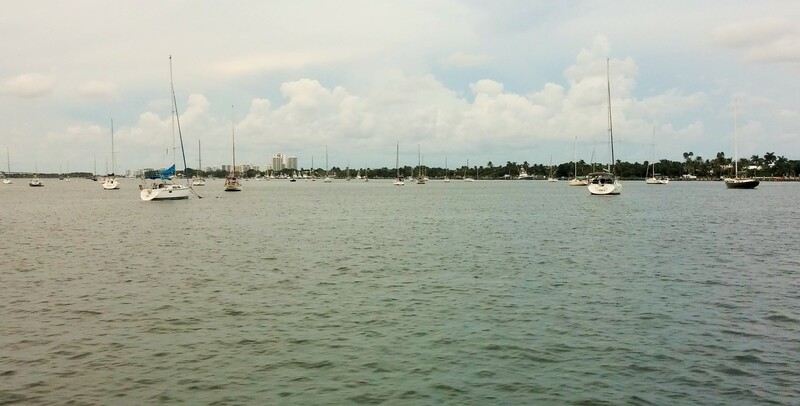 I am always taking pictures from my balcony of the Intracoastal and Palm Beach. It’s fun to get a different perspective, though not quite as picturesque. P preparing me for my close-up. The captain and crew of the Hakuna Matata were a joy to sail with. You can bring your own food and drink, including alcohol, and they also serve snacks and cocktails on board. 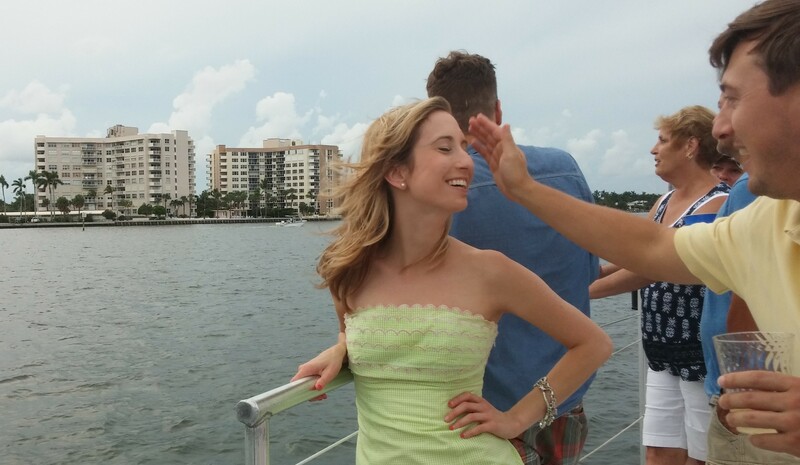 Our birthday girl even got to pop a bottle of champagne and shoot the cork of the back of the boat! The catamaran is operated by Visit Palm Beach, a recreational activities company that also provides snorkeling tours as well as kayak and paddle board rentals. P and I getting acquainted with our “sea legs.” Enjoy the partial view of the mansion behind us. Until P and I get our first boat (in our dreams / on the bucket list), the Hakuna Matata sunset cruise is the next best thing. We hope to set sail again soon! Interested in the Hakuna Matata? Click here.